This year, two Belgian comics are heading for major Hollywood adaptations. The boy reporter Tintin and those little identical blue gnomes The Smurfs are both coming to computer-animated life in a cinema near you. But there is a lot more to comics in Belgium than these long-established favourites by Hergé and Peyo. One phenomenon now poised for greater international cross-over success is Jean Van Hamme (a name not to be confused with ‘The Muscle from Brussels’, Jean-Claude Van Damme, of course). 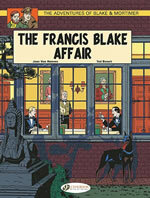 For more than four decades, Van Hamme has been the writing mastermind behind several of the most popular bande dessinée or French-language comics, from Viking fantasy in Thorgal to high-finance action in Largo Winch and even stirring new investigations by those throughly British retro detectives Blake and Mortimer. In that time, his series have sold a staggering 33 million copies worldwide in 25 languages. 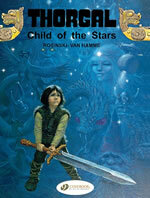 Van Hamme has become a millionaire by totally transforming the Belgian comics industry. He has proved that graphic novels can become mainstream, mass-market best-sellers by combining page-turning genre storylines with dynamic, accessible graphics of the highest calibre. And nowhere is his genius at gripping narratives, compelling characterisation and complex, unpredictable plotting better demonstrated than in his 19-volume conspiracy thriller entitled simply XIII. The enigmatic title XIII is the Roman numeral for thirteen, unlucky for some. Inexplicably, this number is tattooed to the left lower neck of a mystery man, washed up barely alive onto the American coast with a bullet through his head. 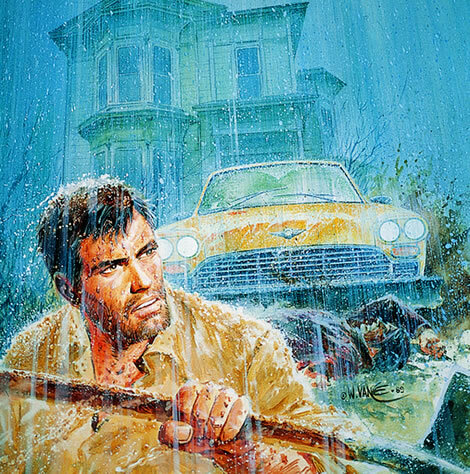 At death’s door, he is rescued by the elderly fisherman who finds him, operated on by the local lady doctor barred for her alcoholism, and nursed by the elderly couple back to health. But his mental health is another matter. The bullet wound has erased that vital area in his brain which houses his personal history. What was he, he muses: “A cop? A gangster? A secret agent? A mercenary? Or a simple tourist robbed by thugs?” An amnesiac staring back at a stranger’s face in the mirror, he has no papers, no plastic, nothing on him, only two clues as to who he might really be: a Yale key sewn into his shirt collar and that strange branding. When his life is once again thereatened, his only goal becomes an increasingly desperate quest to rediscover his memory and his identity. If this initial premise sounds somewhat familiar, that’s because Van Hamme took his inspirational spark from Robert Ludlum’s 1980 spy novel The Bourne Identity, but he quickly developed XIII in its own directions and gave it an identity all its own. Right from the start, Van Hamme hooks you in with sudden twists and turns, often cutting away from a scene at a cliffhanger moment, to keep you stewing and stoke up your anticipation for what is coming next. As the writer puts it, “XIII is a saga where the reader should expect me to pull out the one rabbit he did not expect.” In this magic act of escalating bluff, double-bluff and multiple-bluff, it becomes harder and harder for XIII, and for us the reader, to know who to trust. The story’s political context is already explosive enough following a John F. Kennedy-style assassination of liberal U.S. President William B. Sheridan, only added to by astonishing accusations and amateur film evidence. As for tracing the true perpetrators behind this killing, suspicions go all the way to the top and the corridors of power in Washington DC itself, as the campaign gets underway to elect the next president. Conspiracy and counter-conspiracy, secrets of past lives and deaths, rivalries and relationships, harrowing psychiatric treatment in a top-security prison, a Ku Klux Klan plot and many more surprises combine with XIII’s increasing list of aliases: Captain Steve Rowland, ex-officer of the Special Assault & Destruction Squads; Corporal Ross Tanner; Jake Shelton; mercenary Jason Fly. But when you start anew with a blank slate, which identity, if any, is real? As XIII jokes, “I’m getting used to changing identities with the weather.” People are rarely what they seem in this deadly game and you can trust no one, not even yourself. 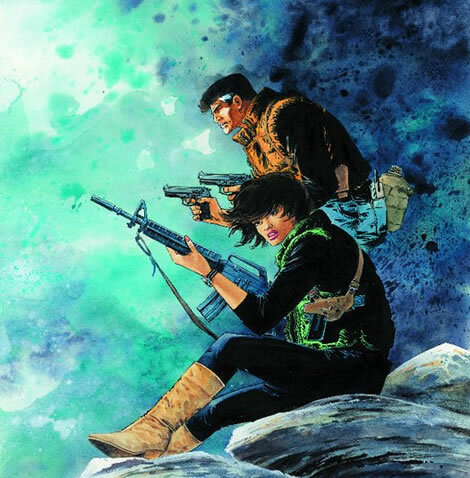 In many ways, XIII is also not so different from those addictive television serials, like 24, Life On Mars or Lost, except that instead of weekly programmes, each new 48-page graphic novel of XIII would take the best part of year, sometimes two, to create. 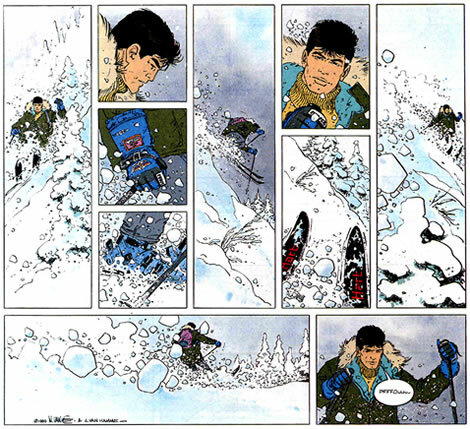 It’s a testament to the strength of this story that thousands of French readers were prepared to wait for nineteen episodes over twenty-three years, from 1984 to 2007, to unravel the mystery and finally discover the truth about XIII. Over the decades since it began being serialised in the Belgian weekly comic Spirou in 1984, XIII has become astonishingly popular. The numbers speak for themselves. 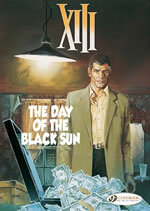 The print run of the graphic novel compilation of the opening XIII story The Day of The Black Sun was a modest 7,000 copies, whereas the dramatic denouement, told in two last albums, had a first printing of half a million copies each. And over those intervening years, an impressive 10 million XIII albums have been bought in French. 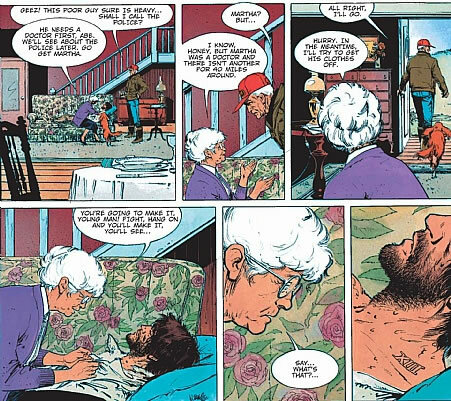 For Jean Van Hamme, an only son from a humble background who lost his mother at the age of two, writing comics was not his dream profession, although writing had been his private passion since he was fourteen. The closest he had come to working with the medium had been in the Sixties translating American newspaper strips Blondie and Peanuts into French for the Belgian press, while studying for his degrees in engineering, economics, law and journalism. Later he also dabbled in writing a few scripts for short comics just as a hobby, while employed at U.S. Steel. By the age of 37, married with a son and having risen up the ranks at Philips, Van Hamme decided that a desk-bound promotion was not for him. “After 12 years travelling around Europe, the Middle East, Africa and Asia in suit and tie, I found myself back in an office with an army of secretaries. I told myself that I didn’t want to become a manager, that was not my vocation.” It was on April 1st that he quit his job and embarked on a new career as a full-time writer. 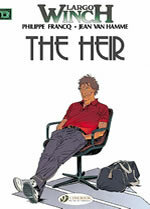 “For six years, it was tough”, he recalls, “but then I started to make a living from my comics.” By then he had also written for movies, notably co-writing the screenplay adaptation of the Daniel Odier novel Diva for the stylish 1981 film directed by Jean-Jacques Beneix, as well a series of prose novels about Largo Winch, the unlikely successor to a corporate empire, which he later converted into another massively popular comics series, illustrated by Philippe Francq. This in turn became a TV series and then a successful French-language movie in 2008, with a sequel now in production. XIII, meanwhile, has also grown into an extraordinary multi-media property, with a 2003 spin-off video game and a 2008 two-part TV mini-series called XIII: The Conspiracy starring Val Kilmer and Stephen Dorff. Of course, none of this would be possible without the other vital element in a comic, the artist. 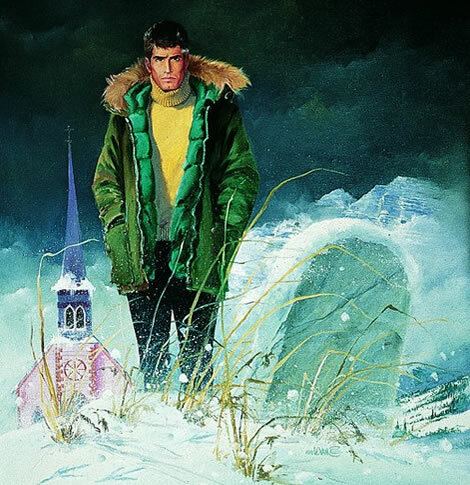 William Vance is the pen-name of William van Cutsem, a specialist since the mid-Sixties at Tintin magazine on rugged adventure heroes, past and present, like Howard Flynn and Bruno Brazil and later projects such as the naval drama Bruce J. Hawker. Theirs is a perfect partnership. Vance brings the gritty realism, crisp clarity and superb composition thay Van Hamme’s scripts demand. He also enjoys dropping in slightly disguised American actors and celebrities into the series. “Lee Marvin became the American General Carrington, For Jones, I was thinking of Whitney Houston. Heideger looks like Kissinger. But I make sure they are not too close to these celebrities to avoid any problems!” From his expressive faces and expertly staged action to meticulous locations, Vance’s precise linework is beautifully enhanced by the sophisticated colouring from his wife Petra. 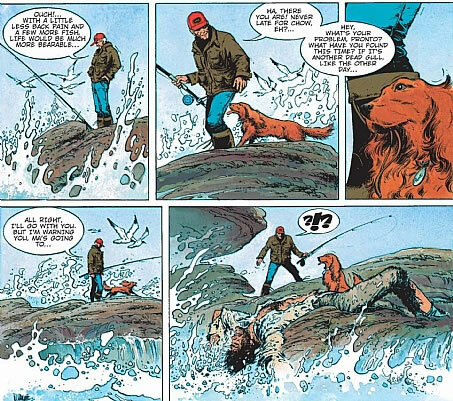 Vance has illustrated all but one of the XIII albums; in 2007, the penultimate 18th book, The Irish Version, featured the artistry of Jean Giraud, aka Moebius. 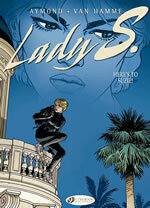 You might wonder why it has taken so long for English readers to be able to enjoy this Eurocomics blockbuster. 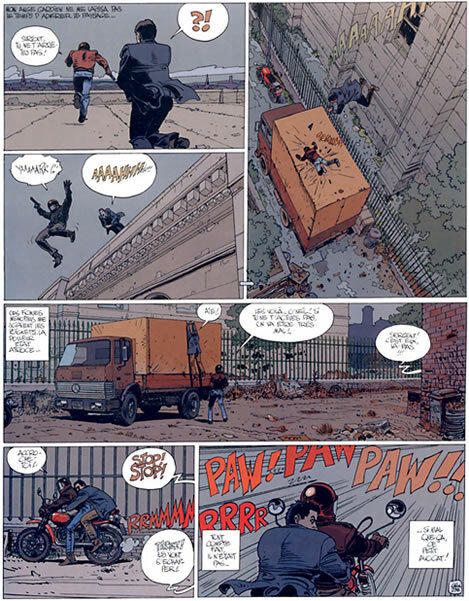 In fact, we have had to endure three false starts from American publishers: first Catalan/Comcat in 1989; then Alias Comics in 2005; and lastly Dabiel Brothers with Marvel Comics in 2006 and 2007. And none of these got any further than the first three albums. You might almost think there was a conspiracy to ensure that this foreign, politically charged drama set in America would never properly catch on there. Luckily, last year, French entrepreneur and BD enthusiast Oliver Cadic, who founded the British publishers Cinebook in 2005, beat several other bigger bidders for the valuable XIII series by guaranteeing not to drop the ball again, but to see the series right through to its climactic 19th volume. So right now, there’s never been a better time to jump on board this rollercoaster ride, as Cinebook release a new XIII album every two months. The sixth instalment, The Jason Fly Case, is out this March, and the final revelatory episide is due to arrive, appropriately, in the year 2013. Lucky for us! The Article originally appeared in Comic Heroes Magazine No. 5.